The Hooded Plover is a medium-sized sandy-brown plover. It has a black head and a white nape, and the black hindneck collar extends around and forks onto the breast. The underparts are white. The iris is dark brown, with a red eye ring. The legs are pink. Males and females are similar. Juveniles look like adults, but without the black head, hindneck and front of mantle, which are sandy-brown instead. Juvenile legs are pale orange. This species is also known as the Hooded Dotterel or Hoody. The genus name used to be Charadrius. The Hooded Plover is similar to the Sanderling. The juvenile Hooded Plover is distinguished from the Sanderling by having brown, more uniformly marked plumage and behaving in a plover-like fashion i.e. it bobs its head up and down when looking for food, and runs quickly and stops suddenly. 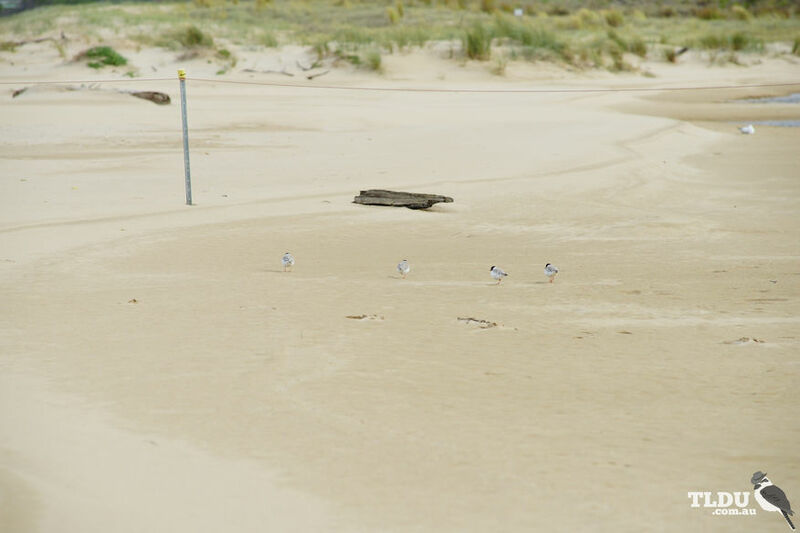 The Hooded Plover occurs on sandy beaches between Jervis Bay, New South Wales and the Eyre Peninsula, South Australia, as well as in Tasmania and between Esperance and Perth in south-west Western Australia.They are not abundant. In Victoria, the highest densities of Hooded Plovers occur on beaches with large amounts of beach-washed seaweed. Densities are lowest on narrow, steep beaches, where there are few or no dunes, and where human activities are most intensive. In the south-west, they also occur on inland salt lakes. The Hooded Plover is non-migratory. Little detailed information exists regarding its movements within Australia. Local movements to salt lakes immediately behind beaches occur in winter in the east. In the west, they move from the coast to salt lakes some distance inland in winter. The Hooded Plover's diet includes insects, sandhoppers (Orchestiasp. ), small bivalves, and soldier crabs (Mictyris platycheles). It forages at all levels of the beach during all tide phases. It is most usually seen in pairs or small groups, darting about at the water's edge as waves recede, bobbing and pecking along the shore. The Hooded Plover excavates a shallow scrape in sand or fine gravel situated above the high-tide mark on ocean beaches or among dunes. This nest may be encircled or lined with pebbles, seaweed and other beach debris. Usually one or two eggs hatch after about 30 days of incubation and the downy young leave the nest within a day or two. Its incubation period is longer than that of other Australasian-breeding plovers. 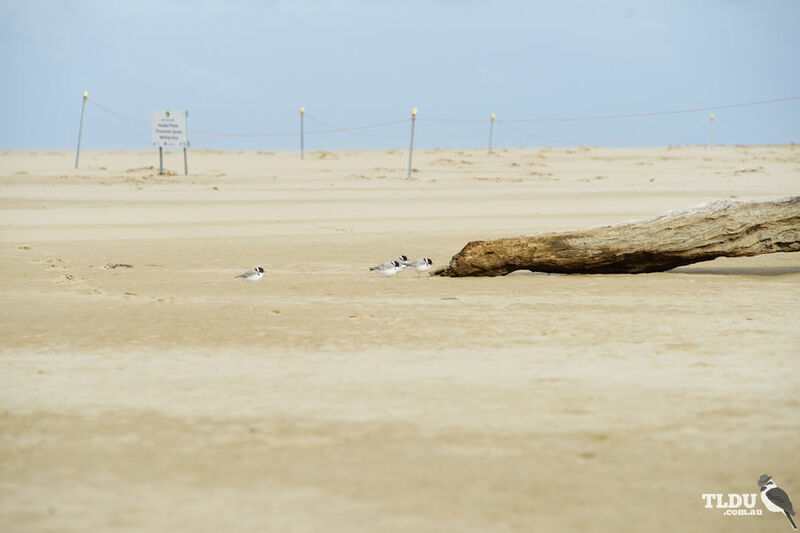 The Hooded Plover's survival depends on undisturbed beaches, which are needed for succesful breeding. Off-road vehicles are a particular problem. The Hooded Plover is listed as an Endangered Species on Schedule 1 of the New South Wales Threatened Species Conservation Act, 1995 (TSC Act). It is also listed as a Vulnerable Species on Schedule 1 of the Commonwealth Endangered Species Protection Act, 1992.